We're currently only shipping to the USA and the EU. 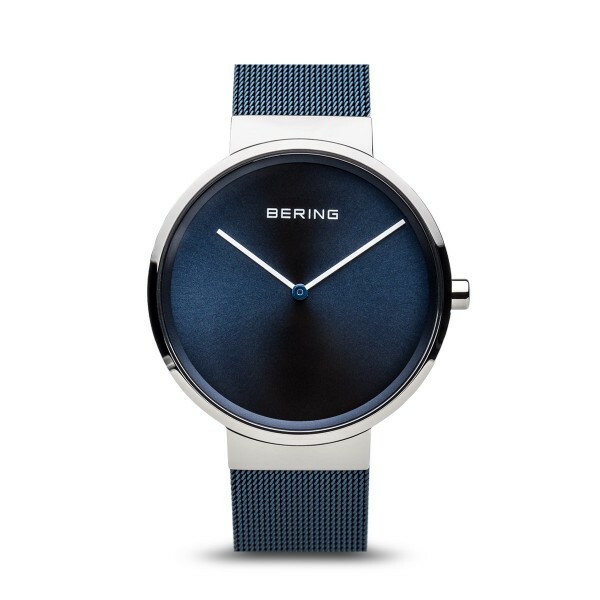 Product information "Classic | polished silver | 14539-307"
The polished silver coloured stainless steel case, made of pure, high quality, medical-grade stainless steel (316L), in combination with the modern blue coloured milanese strap, provides the classic BERING look. The fine workmanship of the milanese strap gives the watch a refined, almost noble touch. A minimalist Sunray dial which matches the band, protected by crystal clear, scratch-resistant sapphire crystal, perfectly completes the modern look. Related links to "Classic | polished silver | 14539-307"